← Been in it for a minute with Karina Nistal!! kaRAGEous! 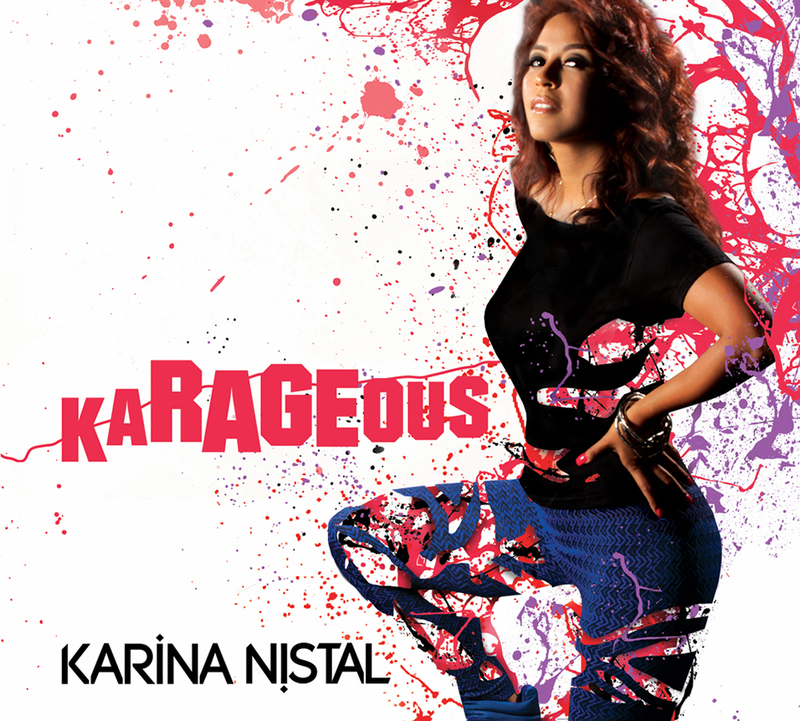 kaRAGEous CD Release Party! Hollywood! Congratulations Karina Nistal! Click attending on the FACEBOOK EVENT PAGE!!! DOORS AT 10PM, EARLY ARRIVAL SUGGESTED FOR AN EARLY SHOW!!! WE ARE BEING ASKED TO PERFORM BETWEEN THE 10-11PM HOUR. YOUR ATTENDANCE IS GREATLY APPRECIATED! Play with our interactive DIGITAL FLYER!! Click here to check it out! 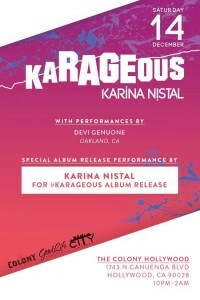 The CITY Project, Good Life Parties, and The Colony Hollywood bring you the #KaRAGEous Album release party! 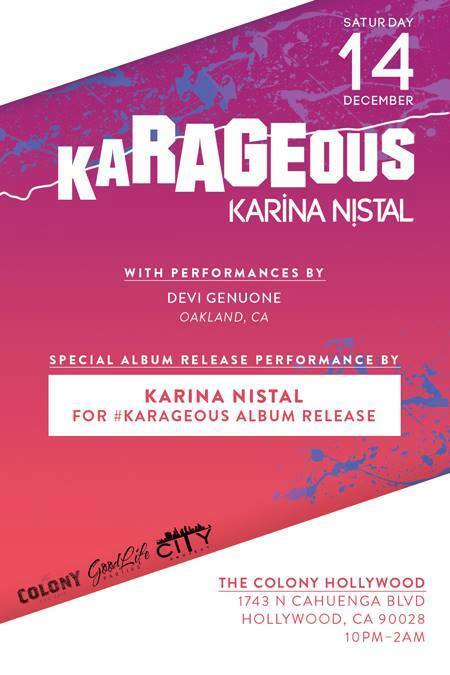 This is the third studio album from Latin Hip Hop Soul vocalist Karina Nistal…with a special performance by Devi Genuone (Oakland, CA) Hosted by Chandra ChannyCozy! We invite all our LA family to celebrate this release and come check out a super fresh live show! Free b4 11:00 PM $20 cover after!!! Bottle Service & Drink Specials for this Awesome Event Available!! !